I feel as though a huge amount of weight has been lifted off of me. It could have to do with the fact that I chopped off over 8 inches of my hair. It was about time. I grew my hair out for my wedding and its was long for about two years but I prefer my short hair. 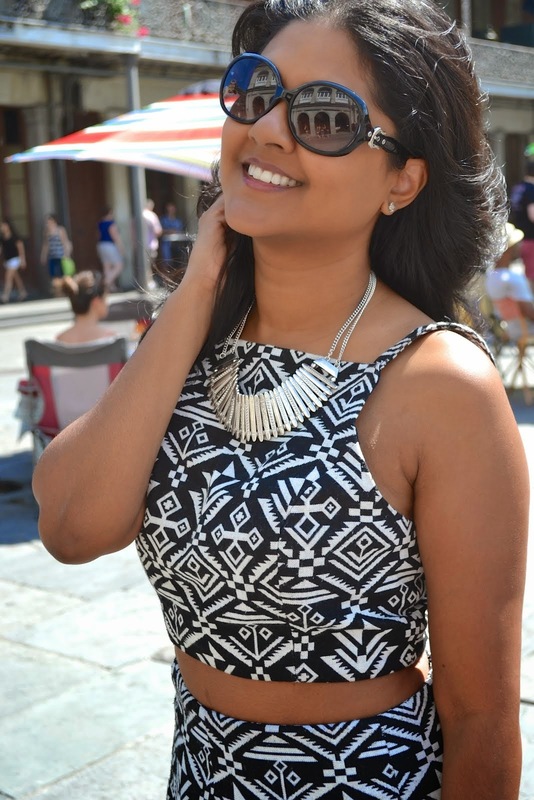 I used to wear my hair this short on a regular basis when I lived in Miami but it was hard to do the same in New York since I was so far from my stylist. I had gone to the same person to cut my hair for ten years so it wasn't easy trusting someone else. This time, on my trip home, I made sure to make time to see her and I couldn't be happier. 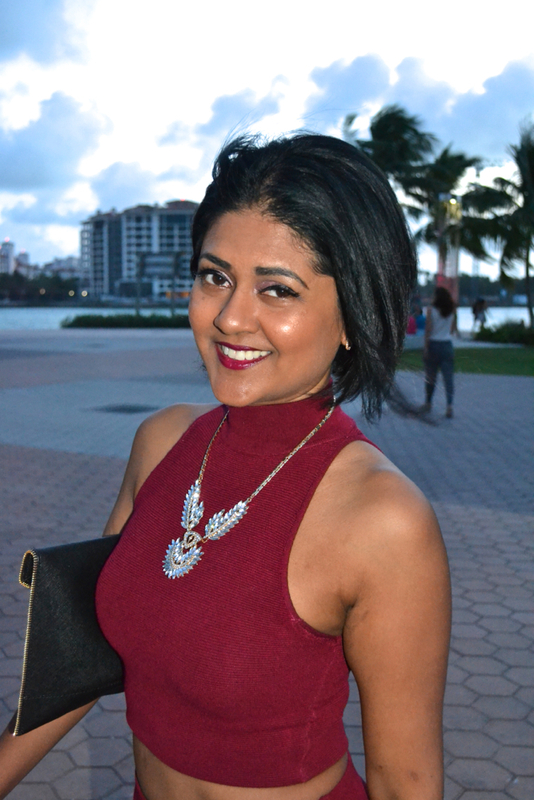 Short hair is perfect for Miami with how hot it is even in December. 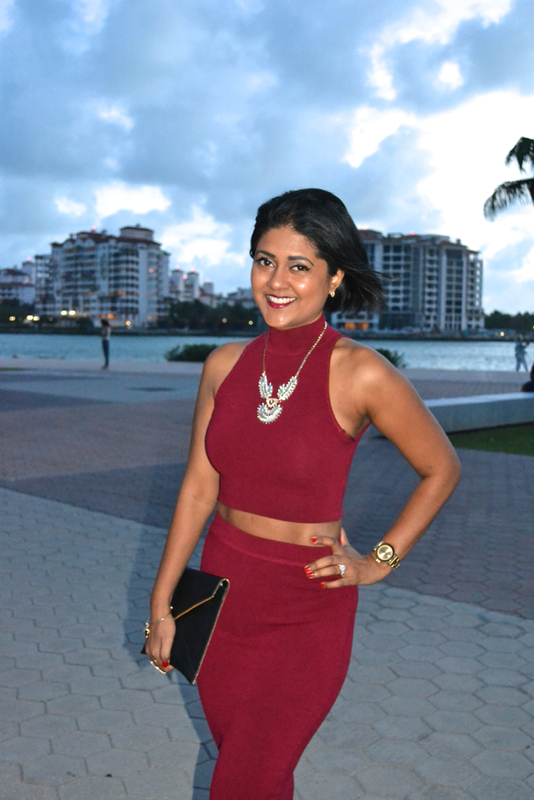 I spent some time on South Beach and had no problem wearing this red crop top set without a jacket. The ocean breeze was relaxing and we enjoyed cocktails on the water. It was such a beautiful setting, seems so long ago that I used to live there. I definitely missed home this trip but then again, I can't see myself living back there any time soon. New York is my new home and I'll just have to layer this outfit with tights and jackets in the mean time.